I'm becoming a fan of Maggie O'Farrell. I really like her style and the way she slowly reveals the plot, but this story wasn't my favorite. It was a little boring and because I didn't like some of the characters, I found it hard to sympathize with them. 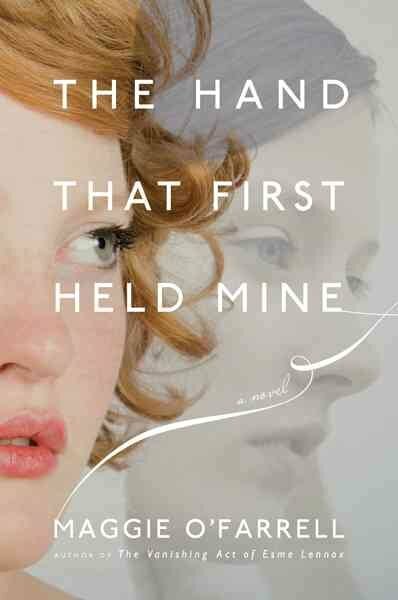 Like O'Farrell's novel "The Vanishing Act of Esme Lennox," the story flips back and forth between two women, one living in the past and one in the present. In the past (the late 1950s or early 1960s, I believe), Lexie is a country girl who follows her dreams and runs away from home to move to London. Her story revolves around her romances and her career rise as she becomes a successful journalist in the London art scene. In present-day London, Finnish artist Elina has recently had a baby with her boyfriend Ted. There were complications during the birth that almost left Elina dead, so in the days after, she suffers from physical pain and memory loss. And Ted struggles to support Elina and the baby, often distancing himself and getting lost in his own head. The stories share themes of motherhood, love, grief, and loss, and both involve strong women. The stories do eventually connect, but their link wasn't too hard to guess. My issues with the story were that I didn't really care for Lexie (she's rather brash, lacks some good morals, etc.) or her boyfriend Innes, so all her sections were exhausting. And the whole story just moves very slowly, to the point where you sometimes wonder if the ending is even going to make these narratives worthwhile. Luckily, O'Farrell's prose helps hold the story together. I just really like the way she writes (you can tell she handles her words with care and knows how to use them to great effect). But I preferred her novel "The Vanishing Act of Esme Lennox" to this story, finding the characters more interesting and sympathetic. I can't wait to get my hands on more of her books.